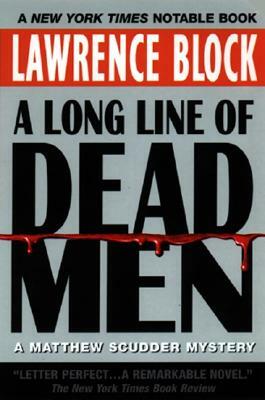 The winner of multiple Edgar, Shamus, and Maltese Falcon Awards, Mystery Writers of America Grand Master Lawrence Block has elevated the detective novel to high art--combining grit with intelligence, suspense with stunning emotional complexity and power. And in unlicensed private investigator Matthew Scudder, he has created a character whose depth and stark humanity is unrivalled in contemporary fiction. An ancient brotherhood meets annually in the back room of a swank Manhattan restaurant--a fraternity created in secret to celebrate life by celebrating its dead. But the past three decades have not been kind to the Club of 31. Matthew Scudder--ex-cop, ex-boozer--has known death in all its guises. Which is why he has been asked to investigate a baffling, thirty-year run of suicides and suspiciously random accidents that has thinned the ranks of this very select group of gentlemen. But Scudder has mortality problems of his own. For this is a city that feeds mercilessly on the unsuspecting--and even thepowerful and those who serve them are easy prey. There are too many secrets here--and too many places for a maddeningly patient serial killer to hide . . . and wait . . . and strike. Description: Remainder mark on bottom edge, number written on front endpaper.